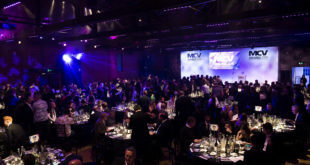 The MCV Awards return on Thursday, March 3rd 2016. But the journey towards a prize starts with making your achievements known to us. Here, we detail the criteria for each accolade and explain how you can get involved. And read carefully – we’ve changed a number of categories, how they are judged and what materials you need to submit. For even more details, visit www.mcvawards.com. For the 21 main awards we will be assembling specific panels with specialism/interest in key fields – retail, marketing, publishing, development and so on – to judge groups of awards either via email or face-to-face (schedules depending). All judges will be invited to read the supplied lobbying/entry documents, so please mark up if any confidential information MUST NOT be passed on. Store Manager of the Year, Unsung Hero and Person of the Year are selected by MCV after soundings from the games industry. Please put forward any recommended person for these prizes. Any specialist games retailer – digital, online or physical, or a combination thereof – which champions video games and offers a wide range of products. You can enter by emailing MCVlobbying@nbmedia.com with ‘Games Retailer: [YOUR NAME]’ in the subject. We require information on how your brand excelled in the listed criteria in the last year. Please provide any relevant commentary, timeline, images/assets, and/or stats and figures you feel necessary to support this nomination. HOW DO I MAKE A RECOMMENDATION? We will also take on board any lobbying or recommendations you want to make for a partner, competitor – or someone you just admire. Email your suggestion to MCVlobbying@nbmedia.com. Make sure the subject says ‘Games Retailer’. DEADLINE FOR ALL ENTRIES IS WEDNESDAY, DECEMBER 16th. This award is for any large retailer – High Street, grocer chain or online – that sells video games, hardware and accessories as part of a wider product mix. You can enter by emailing MCVlobbying@nbmedia.com with ‘Mainstream Retailer: [YOUR NAME]’ in the subject. We require information on how your brand excelled in the listed criteria in the last year. Please provide any relevant commentary, timeline, images/assets, and/or stats and figures you feel necessary to support this nomination. We will also take on board any lobbying or recommendations you want to make for a partner, competitor – or someone you just admire. Email your suggestion to MCVlobbying@nbmedia.com. Make sure the subject says ‘Mainstream Retailer’. Any independent retailer – mainstream or specialist, digital, online or physical, or a combination thereof – which sells games and prominently features them in its product range. You can enter your store by emailing MCVlobbying@nbmedia.com with ‘Independent Retailer: [YOUR NAME]’ in the subject. We require information on how your brand excelled in the listed criteria in the last year. Please provide any commentary, timeline, relevant images/assets, and/or stats and figures you feel necessary to support this nomination. We will also take on board any lobbying or recommendations you want to make for a partner, competitor – or someone you just admire. Email your suggestion to MCVlobbying@nbmedia.com. Make sure the subject says ‘Independent Retailer’. A new video game brand introduced over the past 12 months that has made a significant impact at consumer level within the UK marketplace – regardless of whether the game is a physical release, digital release, hardware brand, or even company brand. You can enter your new games brand by emailing MCVlobbying@nbmedia.com with ‘New Games Brand: [NAME]’ in the subject. We require information on how your brand excelled in the listed criteria. We recommend some commentary plus a timeline of brand milestones from the last year. Feel free to supply any relevant images/assets, and/or stats and figures that support this nomination. We will also take on board any lobbying or recommendations you want to make for a partner, competitor – or someone you just admire. Email your suggestion to MCVlobbying@nbmedia.com. Make sure the subject says ‘New Games Brand’. Any publisher – big or small – has the chance to snap up this award, which will highlight a game or piece of hardware that has achieved better than expected sales in the UK. You can enter your new games brand by emailing MCVlobbying@nbmedia.com with ‘Sales Triumph: [NAME]’ in the subject. We require information on how your game excelled in the listed criteria. We recommend some commentary plus a timeline of brand milestones from the last year. Feel free to supply any relevant images/assets, and/or stats and figures that support this nomination. We will also take on board any lobbying or recommendations you want to make for a partner, competitor – or someone you just admire. Email your suggestion to MCVlobbying@nbmedia.com. Make sure the subject says ‘Sales Triumph. This award was introduced last year, and it is for any team that manages buying and procurement for retail operations in the UK serving video games – be that for physical games or digital games across any format. Email any suggestions – be it a partner, competitor or someone you admire – to MCVlobbying@nbmedia.com. Make sure the subject says ‘Buying Team’. This award is for any company that designs, distributes and/or manufactures its own brand of peripherals and accessories for use with home consoles, handhelds or PC games. You can enter your peripherals and accessories brand by emailing MCVlobbying@nbmedia.com with ‘Peripherals Brand: [NAME]’ in the subject. We require information on how your brand excelled in the listed criteria. We recommend some commentary plus a timeline of product(s) milestones from the last year. Feel free to supply any relevant images/assets, and/or stats and figures that support this nomination. We will also take on board any lobbying or recommendations you want to make for a partner, competitor – or someone you just admire. Email your suggestion to MCVlobbying@nbmedia.com. Make sure the subject says ‘Peripherals Brand’. Any UK-based marketing team or specialist company that has worked on more than one product or project within the interactive entertainment market over the past 12 months. We will also take on board lobbying for a partner, competitor – or someone you just admire. Email your suggestion to MCVlobbying@nbmedia.com with the subject ‘Marketing Team’. This award was introduced for the first time last year. It is for any UK-based digital marketing team or specialist company that has worked on more than one project within the games market over the past 12 months. This award focuses solely on achievements in digital marketing (not marketing of digital-only or digital-first games). We will also take on board any lobbying you want to make for a partner, competitor – or someone you just admire. Email your suggestion to MCVlobbying@nbmedia.com with the subject ‘Digital Marketing Team’. This award is for any company or team that worked on campaigns dedicated to in-store and retail support, inclusive of trade advertising, POS, distribution and merchandising. We will also take on board any lobbying you want to make for a partner, competitor – or someone you just admire. Email your suggestion to MCVlobbying@nbmedia.com. The subject should say ‘Trade Marketing Team’. This award is open to all PR staff who worked on UK games campaigns during the past 12 months. Inclusive of in-house teams and retained or project-based agencies’ below the line activity. We will also take on board any lobbying for partners, competitors – or someone you just admire. Email your suggestion to MCVlobbying@nbmedia.com with the subject ‘PR Team’. Any UK-based agency or external contributor that has worked for a UK games business to deliver influential marketing activity that raised brand awareness and help achieve commercial goals. Above the line activity handled by third-party firms will also be considered. We will also take on board any lobbying for a partner, competitor – or someone you just admire. Email your suggestion to MCVlobbying@nbmedia.com with the subject ‘Agency Team’. Any UK-based community relations/engagement team working for a UK games business. You can be internal or external, but we expect you have kept in regular contact with the audience to raise brand awareness and help achieve commercial goals. We will also take on board any lobbying for a partner, competitor – or someone you just admire. Email your suggestion to MCVlobbying@nbmedia.com with the subject ‘Community Team’. Any distributor active within the interactive entertainment industry serving outlets large and small across the UK. We will also take on board any lobbying for a partner, competitor – or someone you just admire. Email your suggestion to MCVlobbying@nbmedia.com with the subject ‘Distribution Team’. Any UK-based sales team or specialist sales force, including in-house staff and outsourced service companies, that focus on sales inside of the UK. We will also take on board any lobbying or recommendations you want to make for a partner, competitor – or someone you just admire. Email your suggestion to MCVlobbying@nbmedia.com. Make sure the subject says ‘Sales Team’. Any UK-based export team, including in-house staff and outsourced service companies, that focus on sales outside of the UK. We will also take on board any lobbying or recommendations you want to make for a partner, competitor – or someone you just admire. Email your suggestion to MCVlobbying@nbmedia.com. Make sure the subject says ‘Export Team’. Any UK-based specialist games media team, including print, online, social and broadcast media. We will also take on board any lobbying or recommendations you want to make for a partner, competitor – or someone you just admire. Email your suggestion to MCVlobbying@nbmedia.com. Make sure the subject says ‘Media Team’. Any company publishing games in the UK on behalf of a smaller development partner – and achieved notable commercial or critical success over the last 12 months. We will take on board any lobbying you want to make for a partner, competitor – or someone you just admire. Email your suggestion to MCVlobbying@nbmedia.com. Make sure the subject says ‘Indie Label’. Any company that ran a significant marketing campaign in the UK supporting products or services within games. This is for an overall campaign covering TV, online, radio, outdoor and print, plus trade. You can enter as many campaigns as you like. We will take on board any lobbying you want to make for a partner, competitor – or someone you just admire. Email your suggestion to MCVlobbying@nbmedia.com. Make sure the subject says ‘Game Campaign’. Any company publishing games in the UK market that has achieved notable commercial or critical success and generally high levels of performance over the last 12 months. We will take on board any lobbying or recommendations you want to make for a partner, competitor – or someone you just admire. Email your suggestion to MCVlobbying@nbmedia.com. Make sure the subject says Game Publisher’. Any UK-based events team, including in-house staff and outsourced service companies, that focus on organising games-related events. We will also take on board any lobbying or recommendations you want to make for a partner, competitor – or someone you just admire. Email your suggestion to MCVlobbying@nbmedia.com. Make sure the subject says ‘Events Team’. This new award will honour any store managers running key games outlets across the UK. You must have been a manager for at least 18 months by the time of the awards ceremony on April 16th. We will take on board any lobbying for a partner, competitor, colleague, boss – or someone you just admire. Email MCVlobbying@nbmedia.com. Make sure the subject says ‘Store Manager of the Year’. The MCV team will pick the winner based on lobbying and soundings from the games business. This award will honour an individual from the UK games industry who, frankly, hasn’t had a moment in the spotlight but should have. This is your chance to put forward someone who has been instrumental in the success of a company, product or campaign, or the wider games industry, but simply hasn’t had the credit. Maybe they have been regularly nominated for an MCV Award but missed out – maybe they are low profile but deserve cheer and thanks. This is not specific to activity from the last year, and is ideal for those with committed long-service records in the games business. HOW IS THE AWARD JUDGED? Email your suggestion to MCVlobbying@nbmedia.com. Make sure the subject says ‘Unsung Hero’. And tell us why this person deserves it. This award will honour an individual from the UK games industry who in the last year has been a stand-out achiever – either in terms of driving forward a product, raising awareness about an issue or topic, influencing at all levels, or simply being a notable games industry professional. This is specifically for activity in the past year and key successes in 2014. Email your suggestion to MCVlobbying@nbmedia.com. Make sure the subject says ‘Person of the year’. And tell us why this person deserves it.